The Detroit Red Wings will be soaring this NHL season but not as much as the San Jose Sharks. 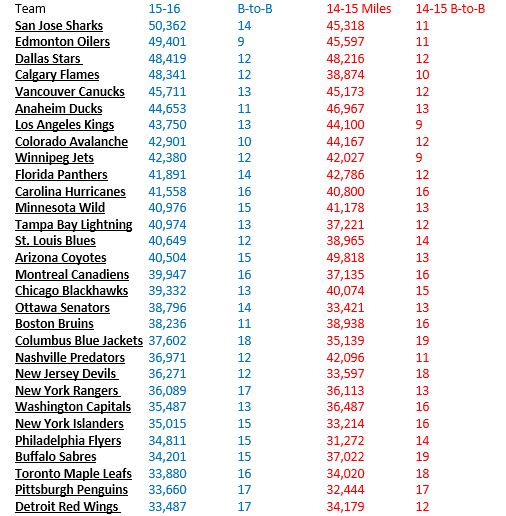 The fish from the Bay area have the dubious honor of having the most traveled schedule in the NHL. *All travel is in MILES.